Rava Dosa is one of my favorite dishes. Unlike ordinary dosa, this recipe does not need much time for fermentation. For making ordinary dosa, we need to the leave the batter for about 6-7 hours to ferment. For Rava Dosa, the ingredients need to be soaked for just 1 hour. This is apt for the jiffy tiffin making. I have used poha (aval) in preparing the Rava Dosa. I powdered the poha in the mixer. We can also use wheat/maida instead of poha. Mix the rava, rice flour and poha with buttermilk and water. Make a thin batter adding enough water. Finely chop the onions and green chillies and add it to the batter. Leave the batter for about 1 hour and then start making the dosa. pour the batter starting from outside and then finishing off in the middle. By adjusting the flame accordingly, the Rava Dosa comes out without tearing off. 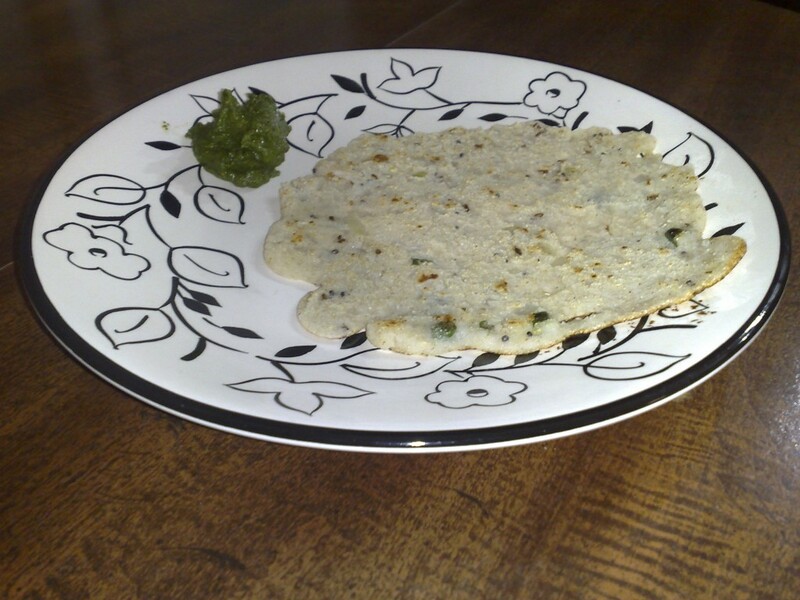 Rava Dosa should be served hot with chutney or sambar. Greetings from Mera Bharat Mahan! It was great to visit your travelogue! I never knew that you are a writer TOO – par excellence! First of all a very Happy New Year to the duo! Can imagine the exciting moments under water…Superb video and narration! Am very glad that you are having a good time! Usha Mousi called this evening and that’s how I am here on this blog! Rava Dosa recipe sounds yummy and btw thats my favourite too! Lemme try this one and revert. Keep blogging and sure we’ll also stay tuned! Glad that u enjoyed the scribbles that I have penned down. Convey my namaskarams to the elders and hugs to the kutty Vikarm. Thanks a lot anna & amma for enjoying the rava dosa recipe. Do try this out. No issues….I am ofcourse happy to be addressed the way you want to! And I am Deepa Vaini indeed for lot of you! Cheers! Thanks very much for your generous words about me! I think it’s mutual fan club actually…since I too feel the same about you…chirpy, bubbly enthusiast! Keep it up! In short, life is interesting – touch wood! Btw, I am planning to try out this yummy sounding Rava Dosa Recipe this evening! Wish me good luck and I shall revert to you with the audience feedback on this! 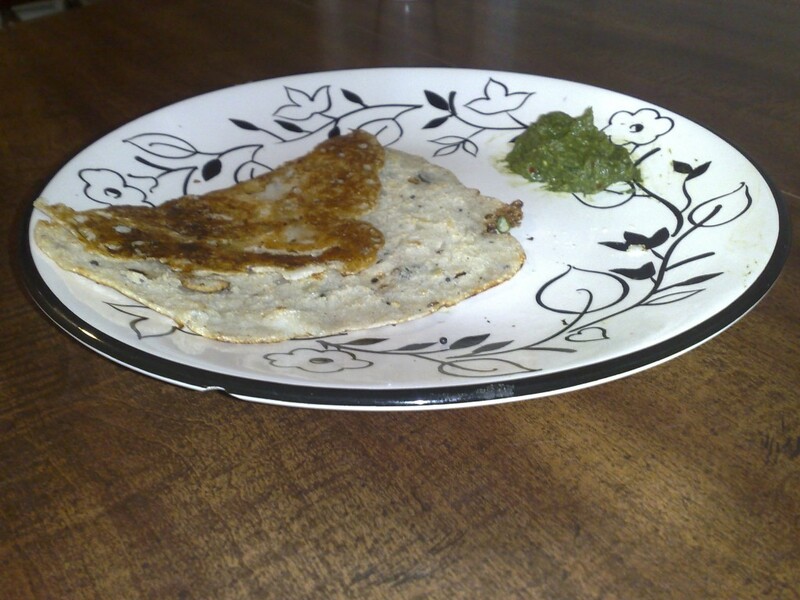 Rava Dosa with coriander chutney looks really yummy. I thought the Rova Dosa preparation is cumbersome, but your receipe looks really simple. I will surely try it out. Thanks a lot dearie. Well, making Rava Dosa is not an arduous task… do follow the tips mentioned. Glad that you liked the yummy Rava Dosa. Your exalting words does boost me try out more recipes in near future. Glad that you liked the “mouth watering” Rava Dosa recipe. Anu, hello..this is a lovely dosa here, liked the addn of poha pwdr in it! Thks for trying out (u did, right) the buttermilk dosa, nice brkfast treat as well as uses up any buttermilk u wish to finish off! Tks for posting ur link and do keep visiting! All the best to your nanha-munna 2 month food blog! Thanks a lot for the lovely comments Purnima Am elated to receive a comment from a veteran blogger. hi, happened to read your blog. I was also having the problem of spreading the rava dosai, but i had found this way, more easy for making thin crispy dosa, so that the batter is not required to be poured from the outsides as mentioned by you. keep the dosa tava (preferaly nonstick) to the stove, and lit stove. That time itself, before tava gets hot. spread the batter in the thava, since the thava is not hot at all, batter can be spread in thin layer with serving spoon very easily, as it will not stick to the tava. Then make the flame in high volume, and do the rest of roasting it. And now making next one, take tava out of the stove and just pour little water or wipe the thava with a water soked towel, so that the tava gets cold, again do the same thing like spreading the batter to thin layer. Just a query. Do you have to grind the poha in the mixer and make it like powder. Pls tell me cause I want to try this recipe in the weekend. I love rava dosa.There are so many combination of amounts of flours we use to make rava dosa, it’s confusing !! I will make your’s and see this works! Looks good with lacy pattern Thanks ..